WorkSafeBC video explaining workplace bullying and harassment and the legal duties in BC for workers, employers, and supervisors. 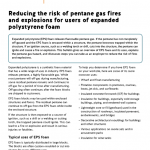 This book contains general information about WHMIS 2015. 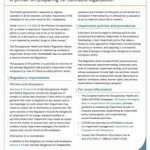 It summarizes key changes from the original WHMIS, describes the four main elements of WHMIS 2015 (classification, labels, safety data sheets, and education and training), and outlines the responsibilities of suppliers, employers, and workers. 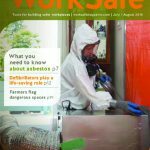 Download WorkSafeBC’s book here. This ergonomics commentary explains what a back belt is and how back belts cannot be used as personal protective equipment. The commentary advises users that back belts may not prevent injuries at work and may, in some cases, increase the risk of injuries. 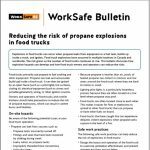 Download WorkSafeBC’s commentary here. If you’re self-employed, a partner, or a proprietor, i.e., not automatically covered by the Workers Compensation Act, you can use this form to apply for Personal Optional Protection. 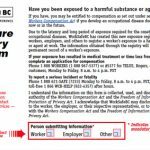 Find the form on WorkSafeBC’s website here. Curtis Weber was injured at work when he was 17 years old. In this WorkSafeBC video, created in partnership with WorkSafe Saskatchewan, Curtis, his family, and his friends tell his story of recovery and return to work. In 2009, Mike Rousselle was seriously injured in a workplace accident. In this video, Mike, his wife, and his employer share his difficult and inspiring journey of recovery and return to work.